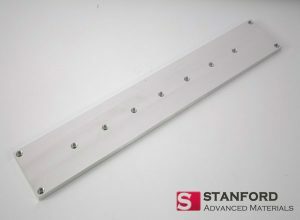 Stanford Advanced Materials (SAM) Corporation is a global supplier of various sputtering targets such as metals, alloys, oxides, ceramic materials. 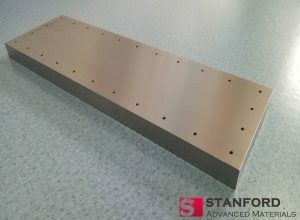 Stanford Advanced Materials provides a wide range of planar targets for large area deposition and other market applications. Cast: Our product includes Mo, In alloys, Cu, Si, Ti alloys and other materials. Targets can be cast directly to a backing plate or bonded. SAM provides material-specific re-casting service. 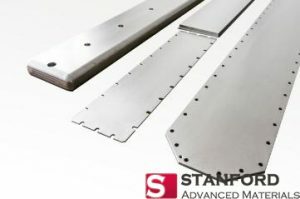 HIP/Hot-pressed/Sintered: SAM offers a range of targets made using powder-metallurgical and ceramic processing methods. These include, but are not limited to, ATO, AZO, Cr, ITO etc. Rolled/Forged/Brazed: SAM provides custom engineering and unique thermo-mechanical process solutions (e.g., grain-size control) for various materials, including Ag, Nb, NiCr, Ta and Zr.